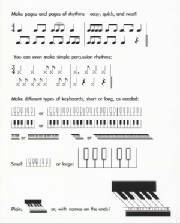 Music symbols & keyboards appear--Zing! --right onto the page--with just a click! move the text boxes wherever you need them on the page. All of our sample pages were made that way. 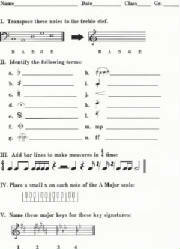 and--presto!,-- new test or activity sheet! design hall passes and parent notes. flashcards, visual charts & posters. StaffWriter--for teachers who want to "look good on paper."